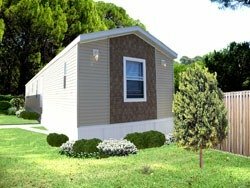 This single wide mobile home floor plan is a 16 X 80 3 Bedroom 2 Bath Model with 1178 square feet of very enjoyable living space. 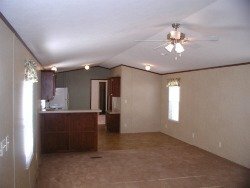 This model offers a very spacious open dining room adjoining the living room. This huge dining room/living room combinations allows for a variety of furniture arrangements. If you like to watch T.V. and eat at the same time, this is the ultimate plan for you. 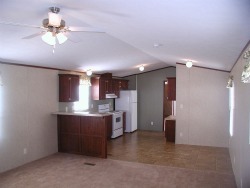 This model comes standard as a 3 bedroom model or can also be built as a 2 bedroom model. This model is sure to please and is just one example of a single wide floor plan. For other single wide plans just click on the links below.